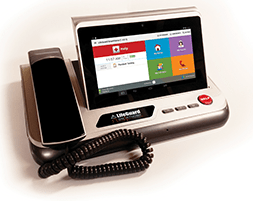 INS LifeGuard medical alarms and nurse call systems help people to live more independent, active lives knowing that help is available at the press of a button, 24 hours a day, seven days a week. Whether you have concerns about falling, need medication reminders or just want that sense of safety and security that comes from knowing you can live independently and still be able to call for assistance when you need it, our professional nursing staff are ready to get you the assistance you need, whenever you need it – so you’re free to go about your daily activities with more confidence and less worry. With the press of a button, you are in contact with a nurse 24 hours a day, seven days a week. We’ll send whatever assistance you require — whether that means calling a neighbour, friend or family member, or sending emergency services, rest assured knowing that help is on the way. That’s why we’re trusted by more retirement villages than any other provider. 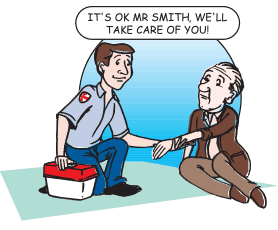 You can have that same superior service for yourself or your loved ones … your own personal LifeGuard! This service uses one or more low-cost Infra-Red (PIR) motion detectors or SmartHome Mates* to passively monitor a user’s surroundings. 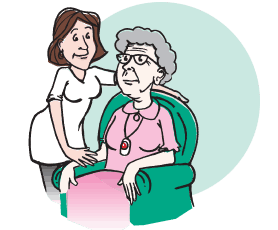 It then reports back to a friend, family member or carer who can check on the user to ensure all is well. You can set the criteria that triggers an alert via our secure Client Portal at any time. Call today to get a personal LifeGuard for yourself or a loved one. What if Mum has another fall? Ann’s mother had a fall recently and couldn’t get herself up off the floor or reach the phone. Fortunately, her neighbour dropped by soon after and was able to help — but what if she hadn’t come by? Ann knew her mother wanted to stay in her own home, but she also needed to know Mum could get help if she needed it. 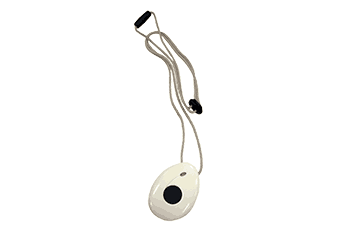 INS LifeGuard provided an alarm system with a small, discrete transmitter which Mum can wear as a pendant or on her wrist. Now they can both have peace of mind. David’s father has a difficult time with technology, and has resisted any attempts to put an alarm system in his home. But David wanted to be sure Dad could summon assistance if he should ever need it. They decided on the LifeGuard SmartTracker. All Dad has to do is put the SmartTracker on each day, and place it in the bedside charge dock at night. If he needs help, he just presses the big SOS button to get immediate assistance. David can even call Dad via the speakerphone on the device to check on him at any time. Tom’s mother has mobility issues that have made it difficult for her to do the things she loves — but she wanted to remain independent and not feel like a burden to her family. Having a personal alarm from INS LifeGuard has given her the confidence to go about her favourite activities safe in the knowledge that she can speak to a nurse at any time of the day or night with the press of a button. The nurse can send assistance, and if Mum wishes, notify her family members. Kim’s dad has heard about burglaries in the area, and felt nervous about his safety in the evenings — especially when answering the door at night. Kim called INS LifeGuard and got him a personal alarm, PIR beams (or motion detectors) to install around the property and a video doorbell which allowed him to see and speak to visitors without opening the door. Dad feels better knowing an alarm can be triggered automatically if an intruder is detected, and he can press his HELP button for assistance at any time. An alarm is sent to a nurse in our emergency response centre, who has access to your personal details and medical history. 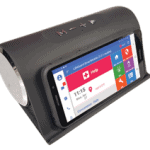 The nurse will call out to you over a two-way speaker on your emergency unit. * You need not be near the unit to be heard. 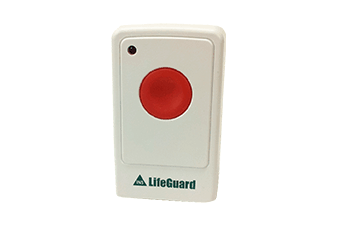 * Network coverage and voice quality are dependent on local environmental conditions and are not within the control of INS LifeGuard. Rest assured, even if we cannot speak to you over the alarm system, we have received the alarm and will send help. 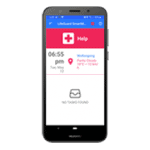 Take your medical alarm with you wherever you go with our LifeGuard SmartMobile with SmartDock, SmartMobile App for your existing phone, SmartTracker or SmartWatch. Click any product picture to learn more. LifeGuard SmartMobile app is available to download for your existing, compatible Android phone. Conditions apply, call for more information. Thank you so very much for all your assistance to me in relation to my father. It is a nice feeling to know that if he requires help at any time he can call INS. Your help has been invaluable. 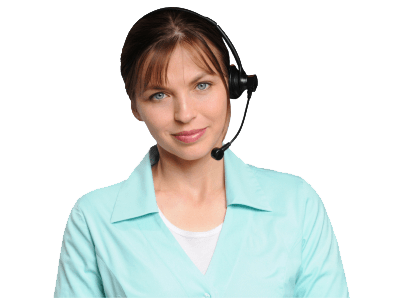 I decided to use INS after ringing many companies and the main reason was your wonderful personalised approach. I’d flipped backwards hitting my head. I couldn’t move. I remembered my INS LifeGuard pendant and pressed the button. I instantly heard a voice say ‘Hello Josephine, are you OK?’ Though I was outside he could hear me. He stayed online with me until the ambulance arrived. It was the best piece of technology I could have wished for. I know it works, and I feel safe. I remain a committed advocate of INS. Peace of mind is ours because we can trust the INS wil be there when we need it. Not many better gifts available for my wife, family and friends – give me INS. 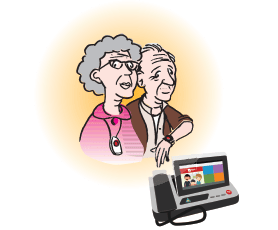 INS LifeGuard has enabled our parents (88 & 90 years of age) to enjoy many more years in their own home than was ever expected. We as a family had peace of mind that in a medical emergency the necessary procedures were implemented far quicker than we could coordinate. 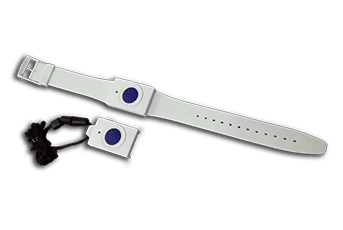 Your phone and wrist button made me feel safe and secure in my own home when through illness I felt very vulnerable. The fact that I knew I only had to press a button to have someone on the other end talk to me and arrange an ambulance allowed me to stay at home for as long as possible. We were extremely impressed by the service and very grateful for your care and support each time we contacted you. We will have no hesitation in recommending your service to other family members and friends. Having the LifeGuard unit brought a lot of comfort and security to both dad and his family. He knew he would always get a comforting voice in response to pressing his buzzer. I used the INS emergency call system and within ten minutes of so, the ambulance was at my doorstep and I was treated on the spot and rushed to emergency. The INS nurse called me yesterday to ask how I was. The INS people were excellent, acted very promptly to my call and lived up to our expectation that this is a proper and effective service. All calls are answered by experienced nurses - that's exclusive to INS LifeGuard!